We joined the St. Pete Chamber of Commerce! 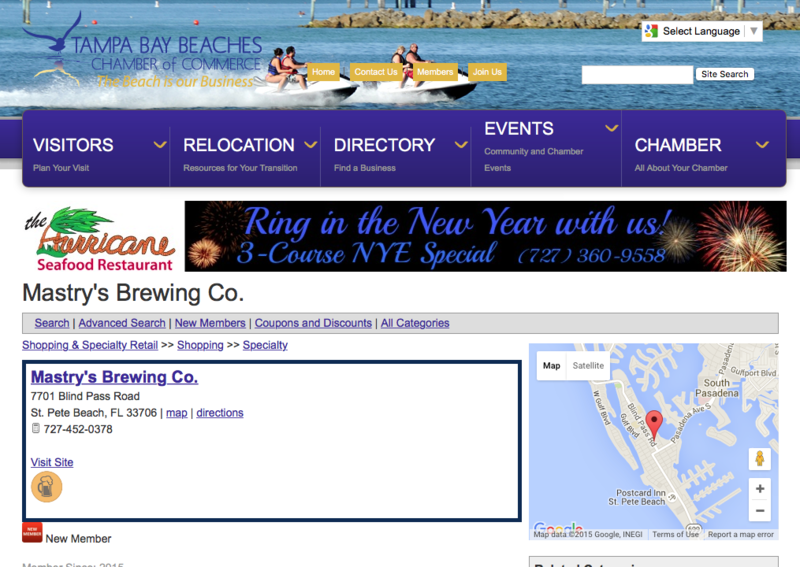 – Mastry's Brewing Co.
Home/blog/We joined the St. Pete Chamber of Commerce! We’re getting excited about our new location and we’ve already joined the Chamber of Commerce. Not a lot of information available yet but check us out at http://www.tampabaybeaches.com/Shopping/Mastry’s-Brewing-Co-5300. Go scout out our new location and check out the surrounding businesses.